Like most young girls growing up, netball was a big part of Rose Nelson’s life until one day she was encouraged by a local coach to give basketball a try. “Jarrod Moore, one of the coaches at Penrith, held a clinic at my school and convinced me to play basketball because I was really tall for a kid in Year 2,” Rose told the Weekender. Rose dabbled in both sports for a short while before a decision as to which one she’d stick with needed to be made. “One day I made a rep netball and rep basketball team at the same time and had to choose. I ended up picking basketball, which was a good decision because I’m too rough for netball,” she laughed. 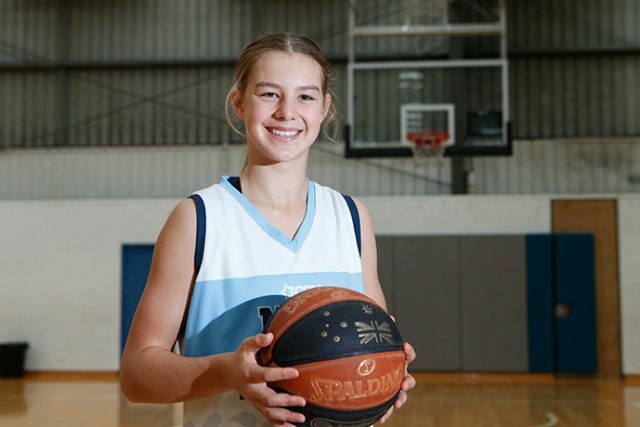 Rose’s important decision all those years ago well and truly paid off recently when she was selected to represent NSW Metro at the U16 National Championships. At just 14, the Year 9 St Paul’s Grammar School student will be one of the youngest players on the court when competition gets underway on Friday on the Sunshine Coast. Following numerous selection trials, Rose was finally chosen to represent her state for the first time. “This was the first time I was able to try out for the NSW Metro team and I was very excited, albeit a bit surprised, to make it,” Rose said. It paid off and Rose is now looking forward to showcasing her talents in front of players, coaches and scouts from all over the country. “I’m looking forward to trying my hand at that level of basketball, it will be great,” the 5-foot-11 small forward said. Rose wasn’t the only Penrith Panthers junior selected in the Women’s NSW Metro team with Jurnee-A’mour Straker chosen as a reserve. Meanwhile, Steven Caruana, Jaedyn Fetui-Fa’amoe and Caleb Fetui-Fa’amoe (reserve) were selected in the Men’s NSW Metro team.